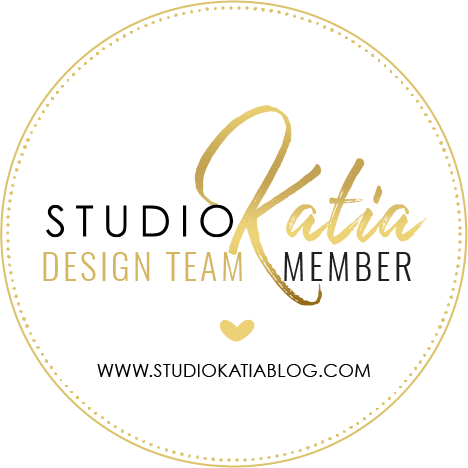 I am a guest over at Sindu Jay's blog to celebrate her blog anniversary. 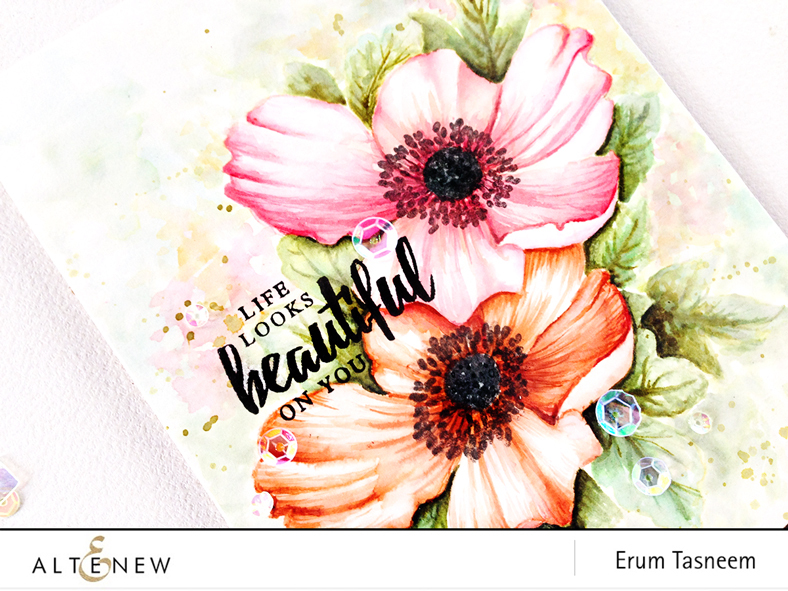 Hop on over to check out my floral card. 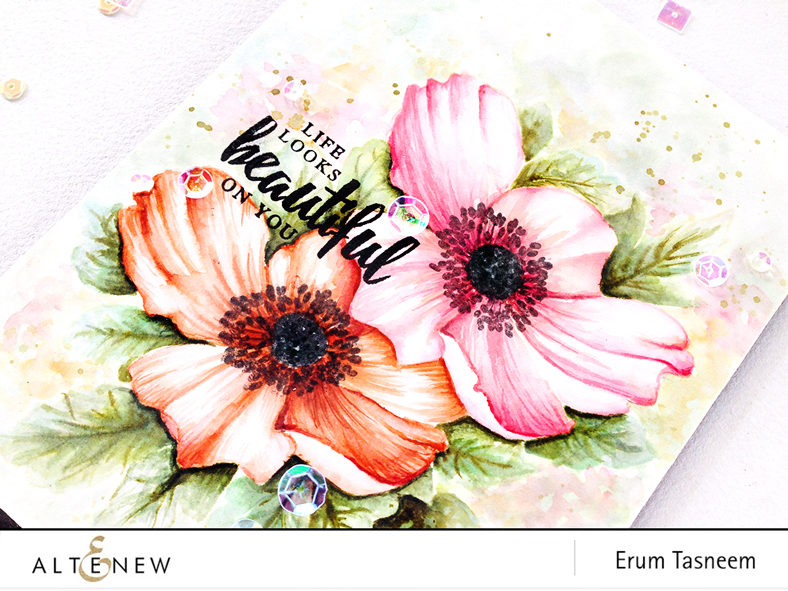 There is a $10 gift voucher to Just Me Digital Stamps too! You are at the last stop on Day 2 of Altenew August Release Blog Hop. You must be here from Kimberly Crawford's blog. 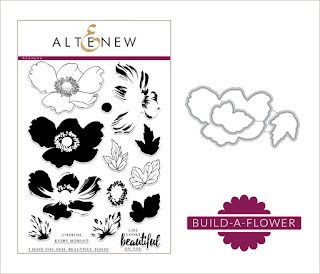 Apart from the stamps and dies, Altenew is also releasing storage pouches this month which are absolutely brilliant! There are nothing like the ones I have and believe me I have tried a lot of storage pockets. These are the best. I have SIX cards to share with you so without further ado lets get started. 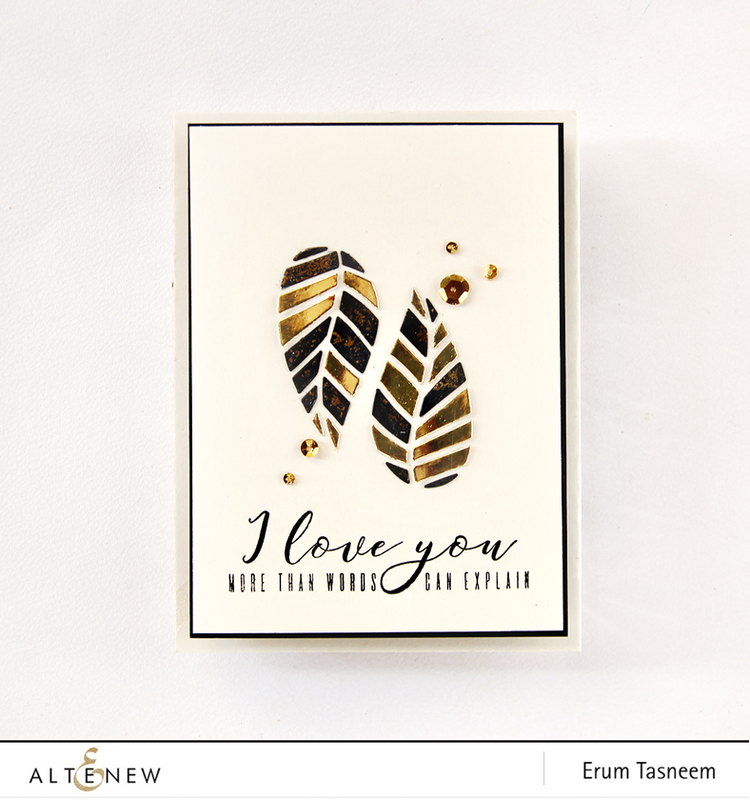 I chose to make a simple yet elegant card which would work for both sexes in black, gold and offwhite. I added a bit of foil onto my black pieces of die cut so that they don't stand out a lot. This is one of my favourite among all the cards I made for this release. This is a beautiful stamp set. 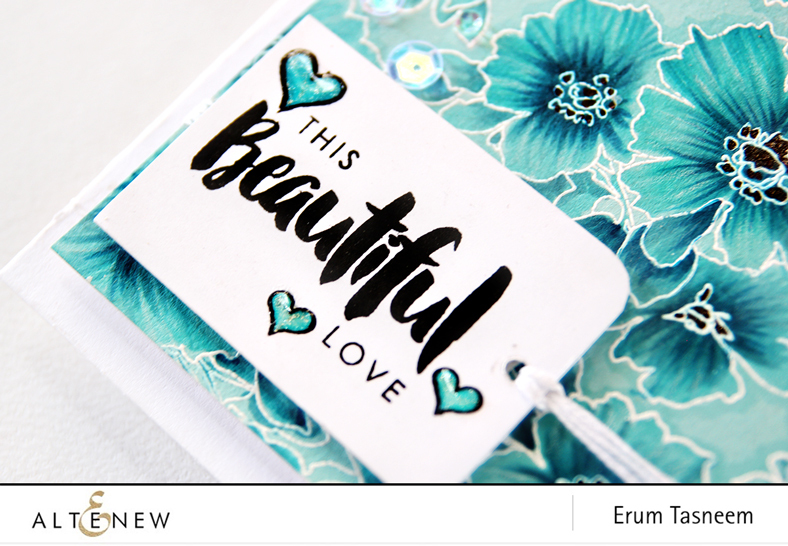 I stamped the floral stamp repeatedly onto Sea Glass cardstock and heat embossed it using Pure White Crisp Embossing Powder. I coloured in the flowers and leaves using the entire blue range of the artist markers and coloured the flower centers with black artist marker. 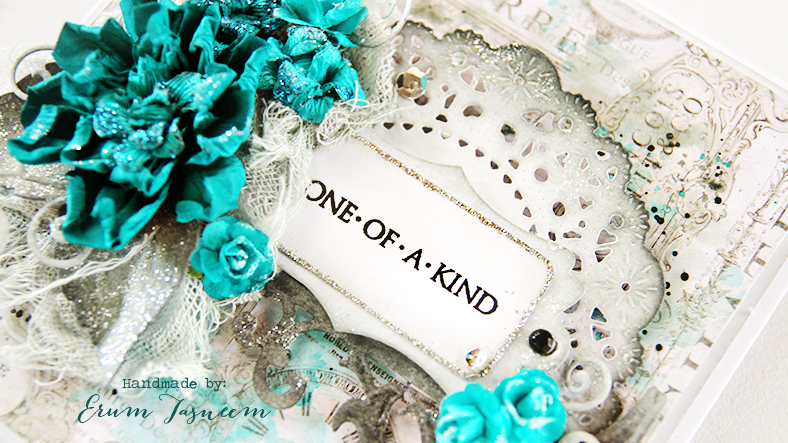 I heat embossed the frame twice and several flowers from the Amazing You stamp set. 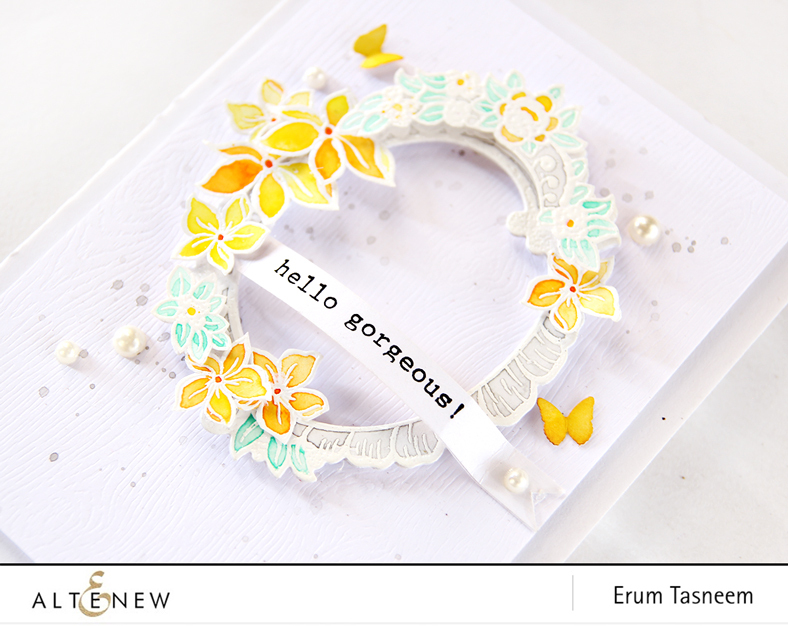 I layered the floral part of the frame and added flowers from the Amazing You stamp set to continue the floral design. 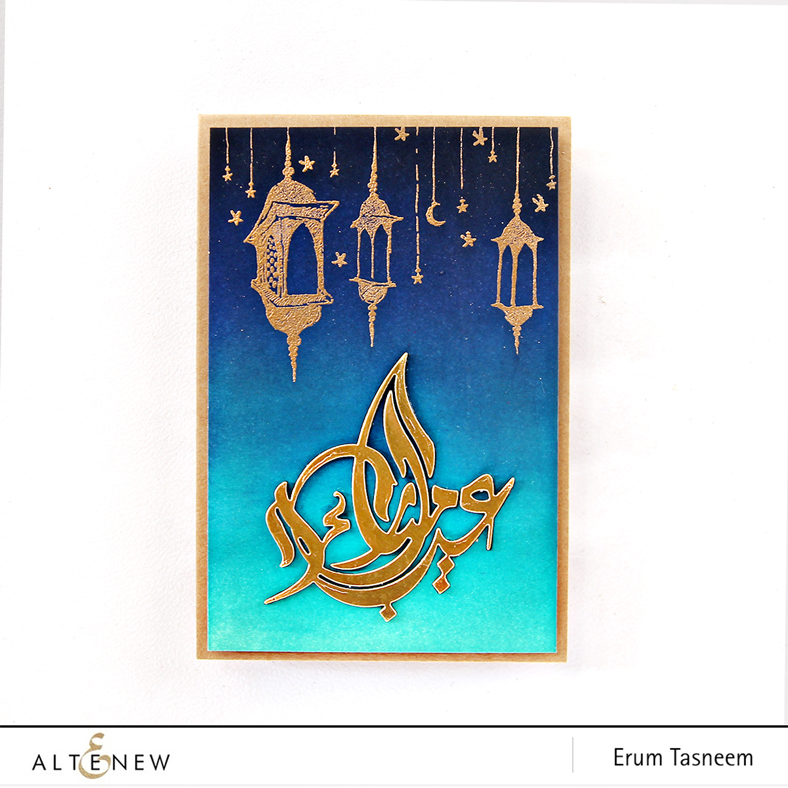 For my background I used several distress inks and then stamped an image from Eid-ul-Adha stamp set with versamark ink. 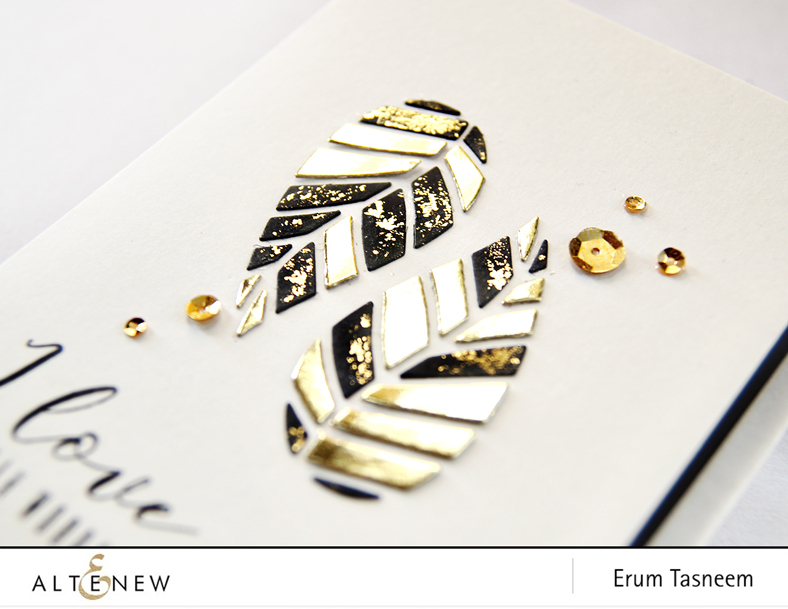 I used the Antique Gold Crisp Embossing Powder to emboss it. 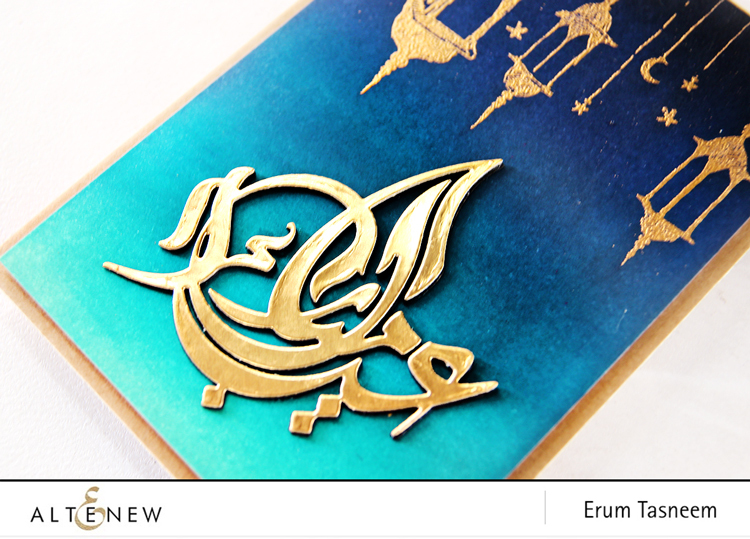 The Eid Mubarak die has been die cut from Gold Foil cardstock. This is a fun card! I used Point It Out and Speech Bubbles to form a text. Inks used; Coral Berry, Volcano Lake, Orange Cream, Parrot and Maple Yellow. For my background I did something I have previously done on a layout. 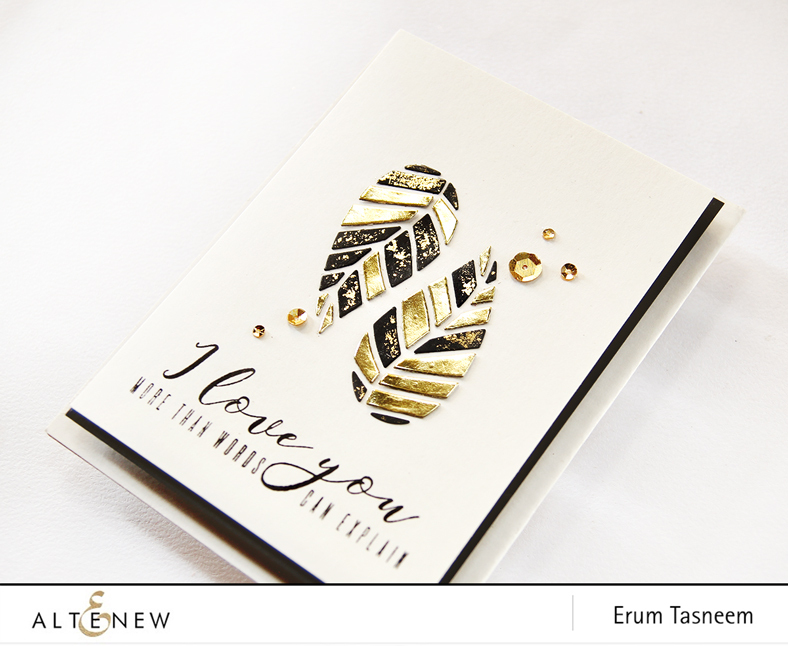 Here I drew some horizontal lines and used Basic Borders stamp set to build my design. 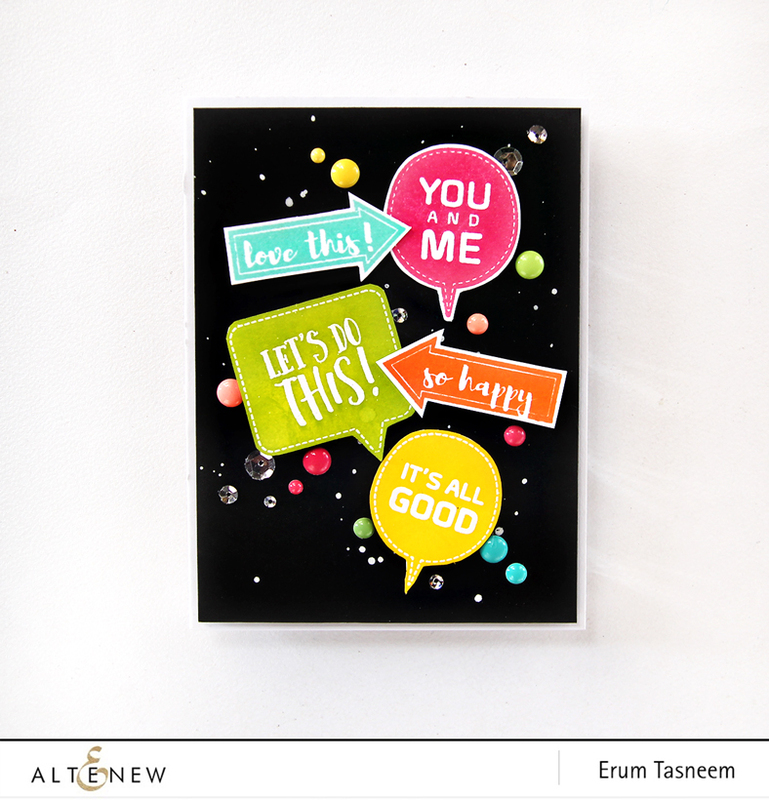 After that I took out a couple of elements from the New Day card kit and arranged all the pieces in a collage style. Now on to the more interesting part of the post. I will be giving away $30 gift certificate to ONE lucky winner from the comments left here. I will announce the winner on September 1st here. 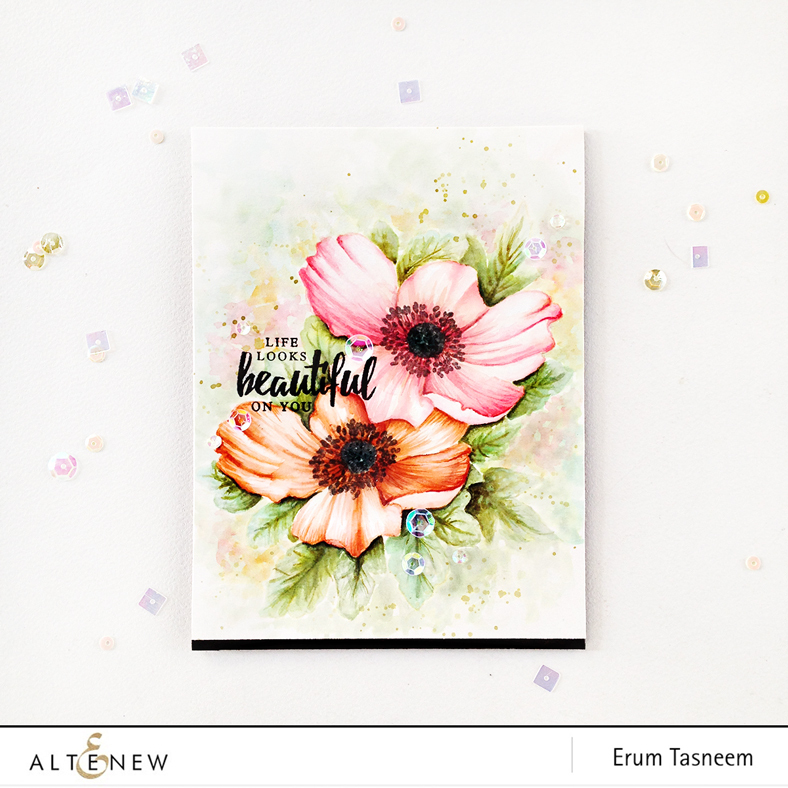 I have a new post over at the Altenew blog for those of you who were having a little trouble with the current inspiration challenge. 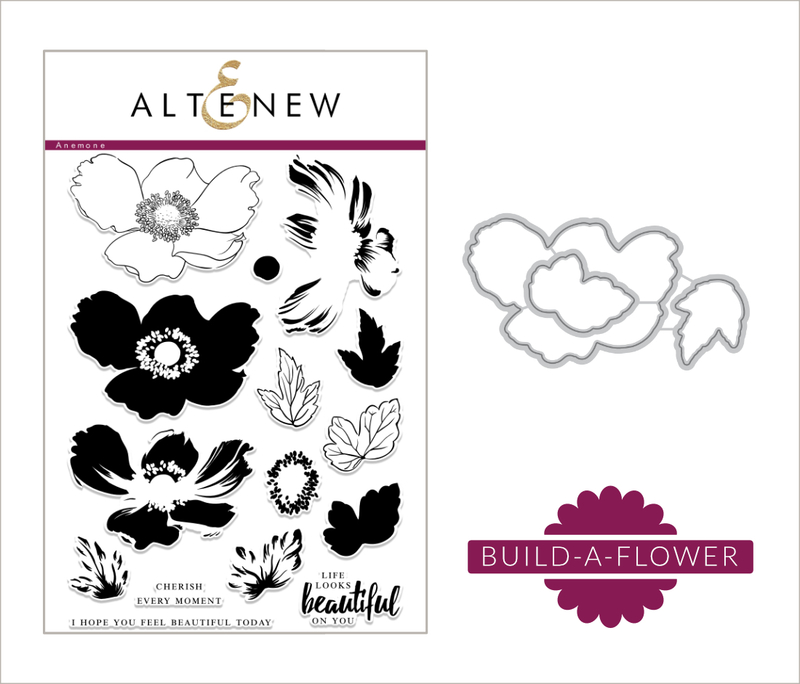 As you all know by now that every 15th of the month Altenew reveals a new Build-A-Flower stamp plus die set and this time we are introducing Anemone. I went for the no line watercolour look using distress inks as my watercolours. I wanted to give this card a watercolour illustration look and I think it looks close enough. I stamped the flowers in Antique Linen and the flower centers are stamped using Black Soot so that they are not crispt but more faded or distressed. I spent the whole afternoon colouring this layer over layer and waited for it to air dry before adding all the details. I used a very light hand to add my "veins". 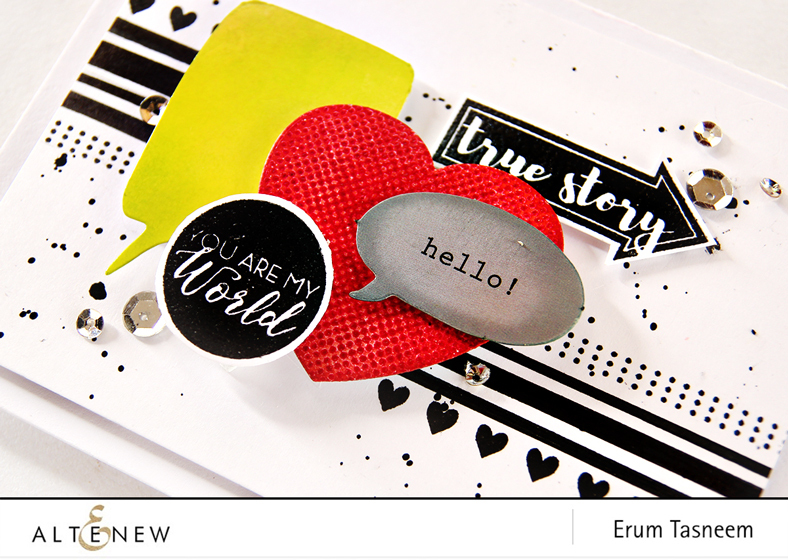 I stamped the sentiment over part of the image with Versafine Onyx Black. 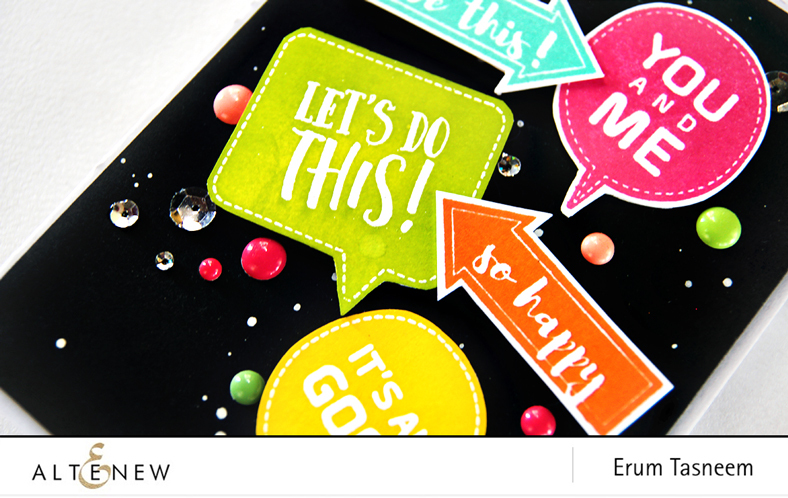 When I was gluing down the sequins with Glossy Accents, a big blob dropped on my sentiment and the ink started to run! I had to fix it with a white gel pen and some more watercolouring. You can see the blurry "B". I added more watercolouring outside the lines to give an illusion of more plants in the distance. I hope you like my card. I am kinda proud of it since this is a 100% watercolour piece and NO pencils were used in adding details. 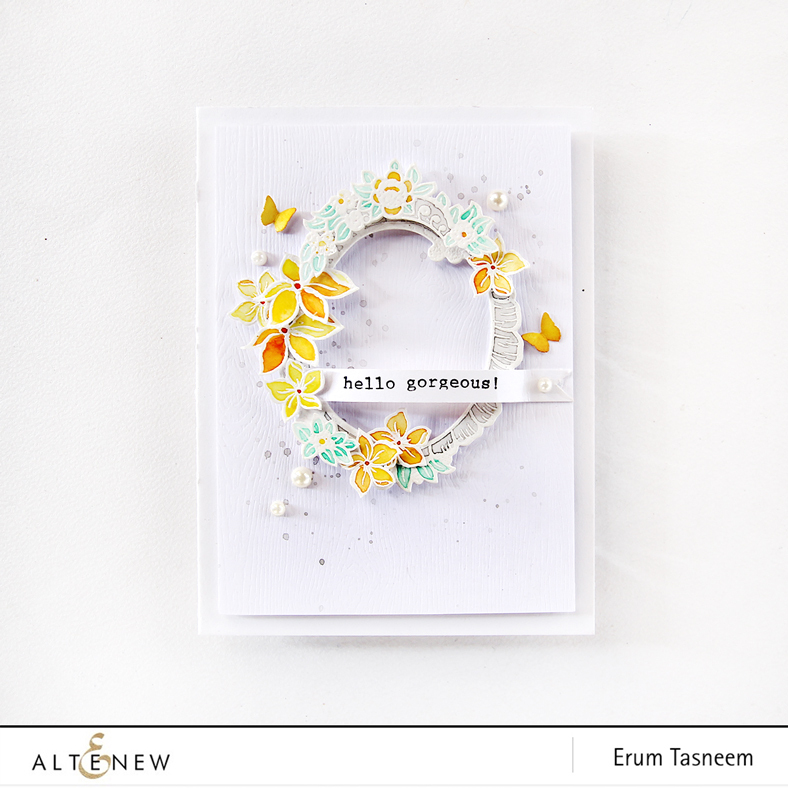 You can hop on over to the Altenew Card Blog and the Scrapbook Blog to check out what the other designers made. Click here if you want to purchase this gorgeous set. Hop on over to read how I made it. 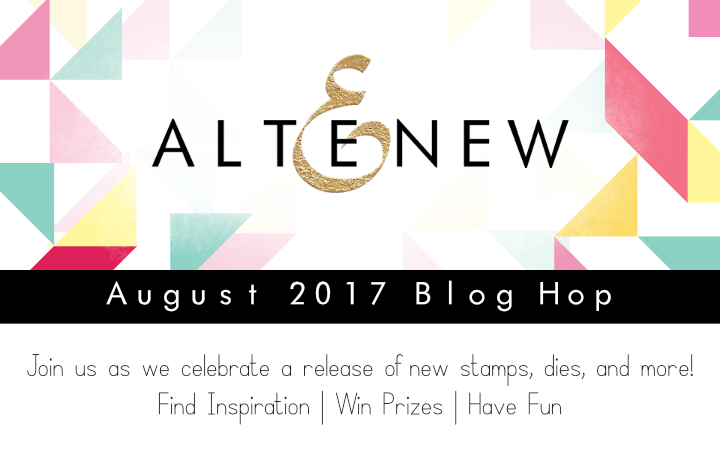 I am hosting my first ever Altenew Inspiration Challenge this month. Please hop on over to check out the colour palette and I hope you guys will take part.